The boys are totally into superheroes now. Everything is about good and evil, punching, kicking, web slinging, extra vision, etc. 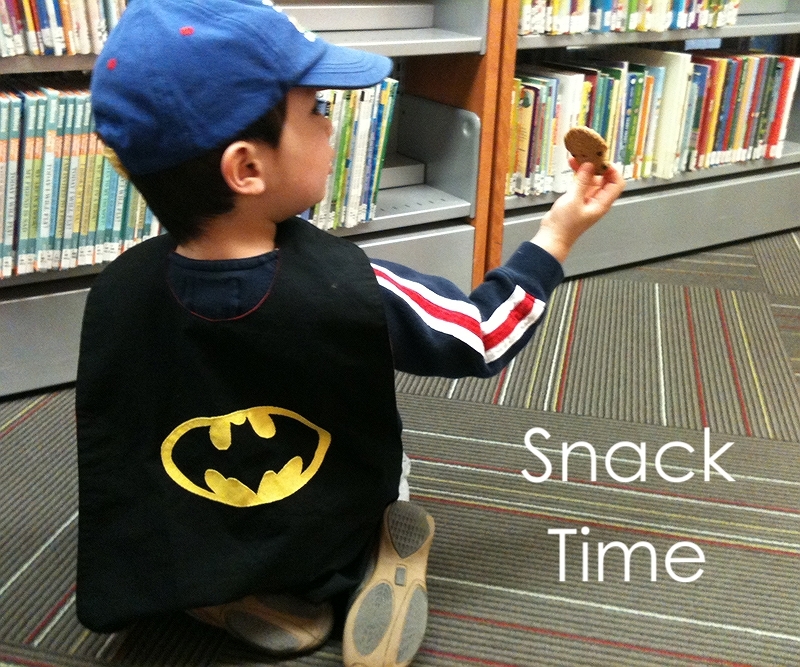 I love that they are into creative play so I made them some new capes. Their old capes were too short and the necks were too small. The new capes are also reversible which means twice the amount of fun! 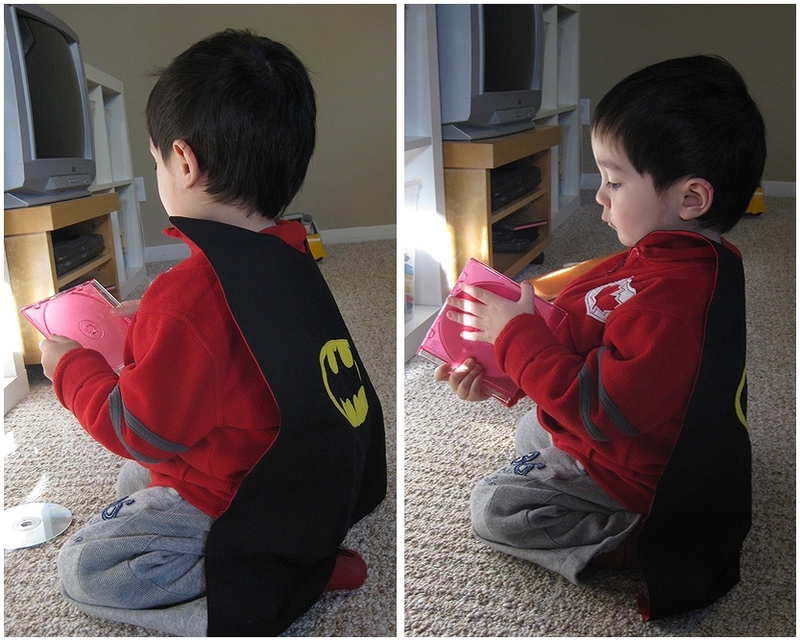 Baby Bunny loves Spiderman and Batman so naturally he got those for his cape. Josh chose so many different heroes but in the end, I made him a Superman/Bizarro cape. The capes fit them both, but the superman/bizarro is a couple of inches longer. Whenever we go out, Baby Bunny always wants to bring his superhero cape. We get compliments all the time and since they are so easy to make, here's a tutorial for you so you can make your own. 1. 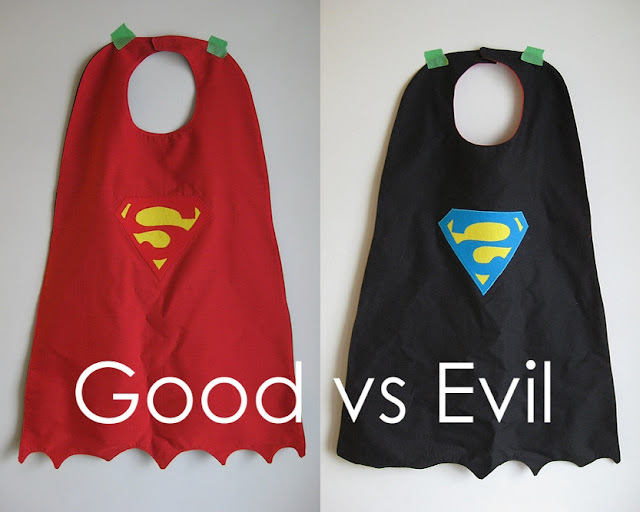 Use your child's favourite bib as a template for your cape. Make sure you choose one that fits now. 3. Choose or draw your design onto some Heat n Bond (see my tutorial here) and iron it to your scrap fabric. 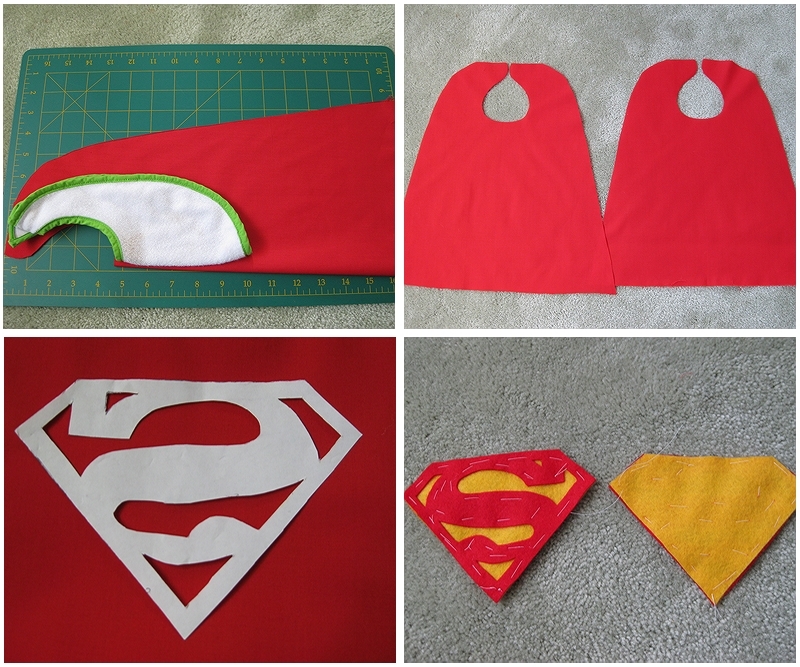 Iron your scrap fabric onto the RIGHT side of one of your cape pieces. Top stitch the logo for extra security. 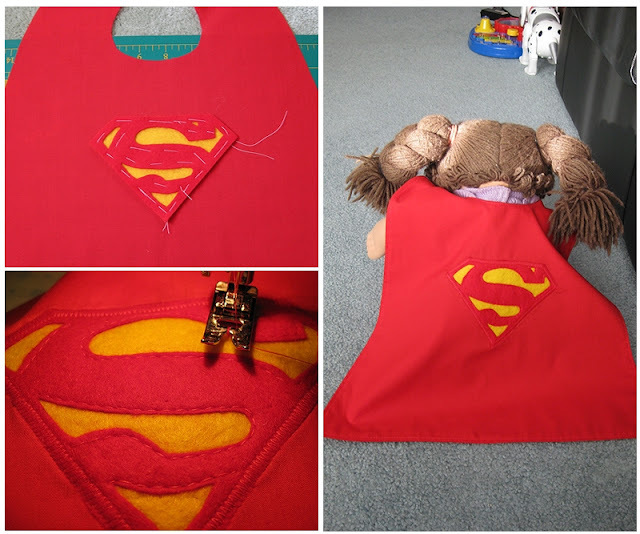 If you want yours to be reversible, then you'll do this step again with the other cape piece. 4. Place the 2 cape pieces RIGHT sides together (logo facing in) and sew all the way around, leaving a small gap (about 3") for turning. 5. Turn the cape inside out, press with a hot iron, and topstitch around the entire cape, closing up your small opening. 6. 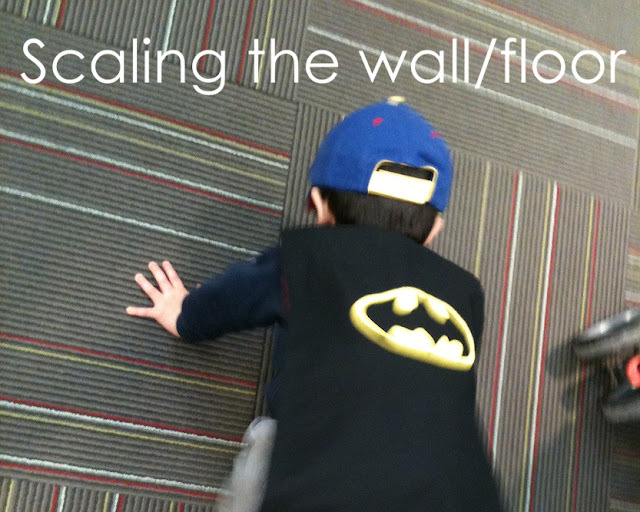 Trim the velcro to fit the cape and sew it on. Try it on your little one and you're done! Here's the little guy with his cape. 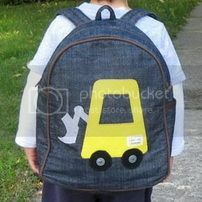 When he first got it, he was so excited that he only wore it on his front. Now he wears it on his back. Hope you enjoyed this tutorial! Please leave a comment if you use this tutorial. I would love to see some pics! 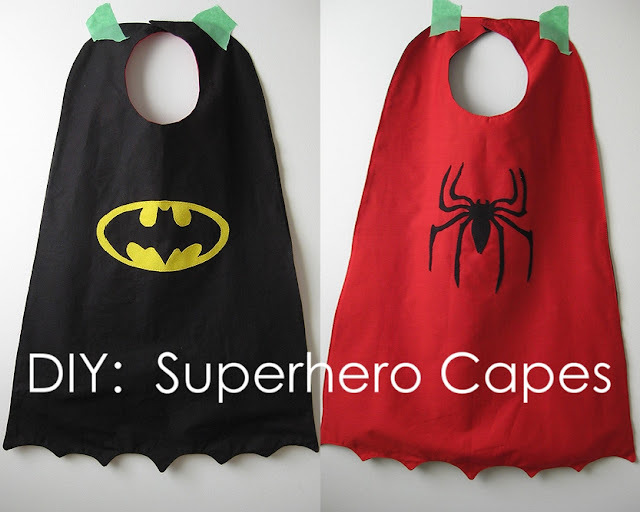 I love these capes! Thanks so much for the tutorial, this will be a great help when creating several capes for all the superhero's attending our party! I made a superman one for my grandson and he loved it so now he has 2 younger brothers that one to so I'll be making one for each of them. I'll be making one a batman and the other one will have a T on it for his name. 2011-2016 All Rights Reserved. This is my original work unless noted otherwise. 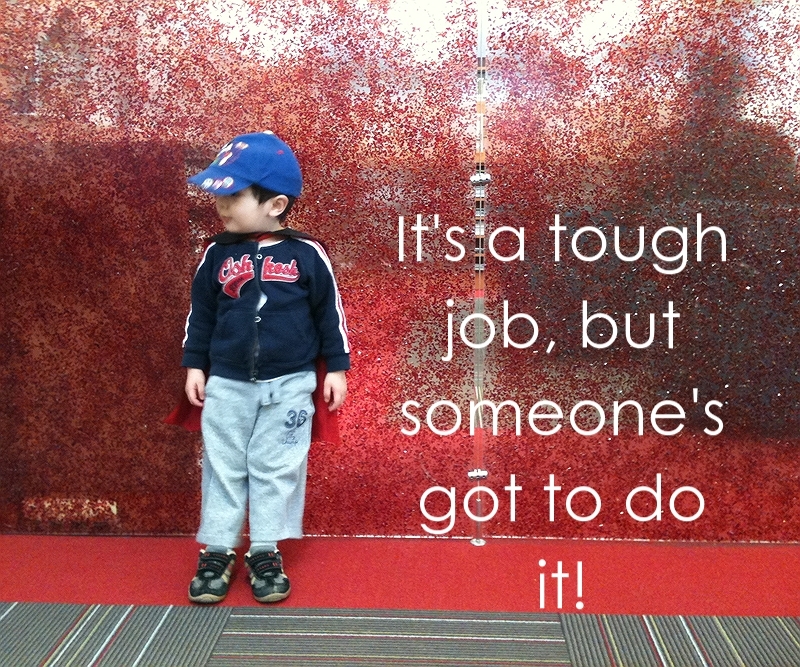 If you decide to use pictures from this blog, please link back and provide proper photo credit. DO NOT USE PICTURES OF MY KIDS.